A new album of recently unearthed songs written by Soviet Jews during the Second World War counters the narrative of Jews being passively led to slaughter by Nazis. Update: This article was originally published on March 30, 2018. Since then, The Yiddish Glory: The Lost Songs of World War II album was nominated for a Grammy for Best World Music Album category on Friday, Dec. 7, 2018. A new album of recently unearthed Yiddish songs counters the Second World War narrative of Jewish people as passive victims of Nazi soldiers. 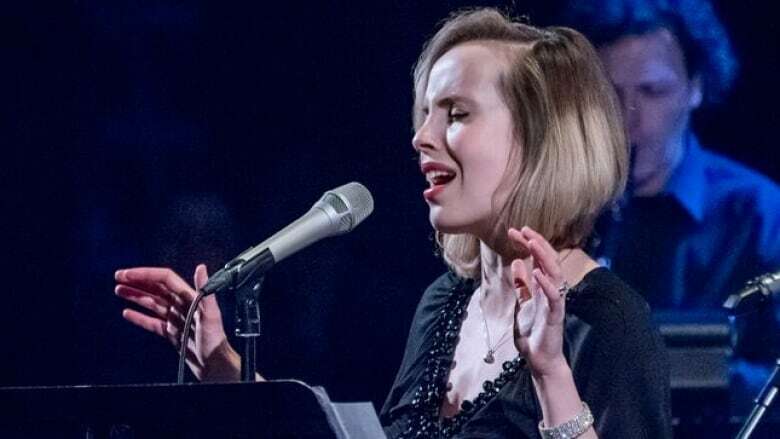 Titled Yiddish Glory: The Lost Songs of World War II, the album features 17 songs written by Soviet Jews during the war telling tales of resilience and resistance. Some are written by soldiers of the Red Army, with powerful lyrics about the Jewish people's survival of attempted genocide throughout history, or graphic descriptions about fighting Nazi soldiers on the battlefield. "This rage against the German army is the rage of a soldier fighting the war," Anna Shternshis, a University of Toronto Yiddish studies professor, told As It Happens host Carol Off. "We get that raw emotion only from materials from songs like this written during the time of the war. Because once the war is over, people start moving on. They start thinking about how they make sense of their lives now." 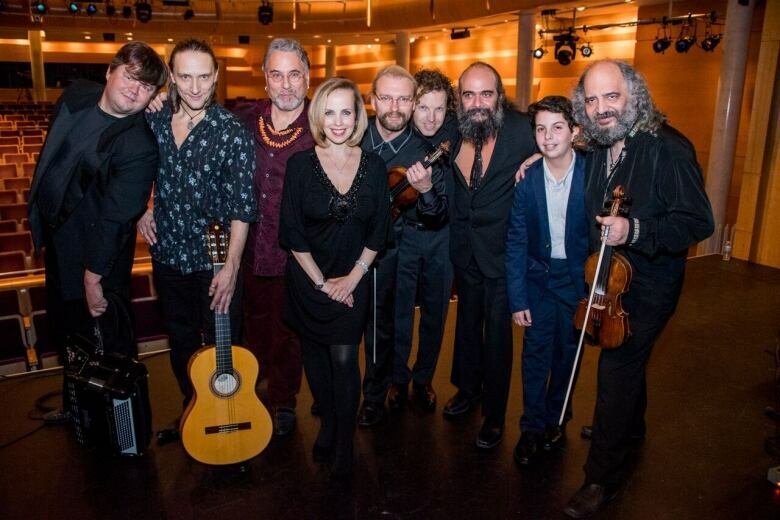 Shternshis helped put together the album, which features performances by Russian-born Canadian jazz singer Sophie Milman, Russian singer-songwriter Psoy Korolenko, violinist Sergei Erdenko and more. Shternshis said she discovered the songs while she was at the Vernadsky National Library in the Ukraine researching a book about Yiddish culture in the Soviet Union during the Holocaust. "I stumbled upon this collection of Yiddish songs and something seemed off about those songs," she said. "They were about Stalin. They were about fighting against Hitler. They were about Central Asia. These were the songs in Yiddish I'd never seen before." Baffled, she made copies and brought them to Bret Werb, the music and sound collection curator for the U.S. Holocaust Memorial Museum in Washington, D.C.
"I asked him, 'So what's with these songs? Why don't I recognize a single one of them?'" she said. "And he says to me, 'Well, you don't recognize a single one of them because they're unique. They have not been known before.'" They turned out to be from the collection of Ukrainian Jewish ethnomusicologist Moisei Beregovsky, the leader of the Cabinet of Jewish Culture, which operated under the Soviet government during the war. Beregovsky had made it his life's mission to collect Yiddish folk songs in Ukraine and other parts of the Soviet Union during the war. But after the war ended, ​Soviet dictator Josef Stalin's government became increasingly anti-Semitic. Jewish leaders, writers and and scholars were imprisoned and sometimes tortured and executed. Beregovsky was arrested in 1950; his life's work was seized. "Stalin, who the songs glorified so vividly and so enthusiastically, turned his head against Jews," Shternshis said. "At the time there was a discussion — and, believe it or not, it's still a discussion in today's Russia — whether one should remember Jewish victims of the war separately. In other words, is there a need to remember the Holocaust? "In these songs, there is no question that Jews are being targeted. And that was controversial for Stalin." Beregovsky was eventually released, but his documents were never returned to him. He died in 1961 believing his efforts were for nothing. "There was a consensus among historians that the collection existed but it's now lost," Shternshis said. "And when I saw this text, it turns out they were not lost. They actually survived." Some of the songs are from Red Army soldiers and tell brutal stories of vengeance and bloodshed. Others are from widowed women and orphaned children and tell tragic tales of mourning and loss. "It really hits you in the head, because you can relate to these children," Shternshis said. "I have kids that age myself, and somehow it's no longer a historical text, but it's something personal." Others still, she said, are farcical and fun, with lyrics like "Hitler's an idiot" and "Germans are running away with their pants down." "I don't know if that's the right emotion when you stumble across something like this, but you read these songs and you start laughing because these are humorous songs," she said. "Then I started reflecting on it and I was thinking it's quite a story that these people lived through what they lived through and they wrote humorous songs about this." Some of the songs, she said, may have been the last thing people wrote in German-occupied territories before they were rounded up and slaughtered by the Nazis. "We have songs, written sometimes by children, sometimes by women, from these places on pieces of paper. And I think what happened is that they crumbled this paper and they just threw it somewhere," she said. "Even though they're going on a march somewhere, but they know they're not coming back, so they're hoping maybe someone will find the document, the piece of paper with the song. And someone did." Shternshis has spent her career researching Yiddish history, and says she's never seen anything like these songs — even after interviewing 500 Soviet-born Jews for her book. "Not a single person I interviewed in Canada, in New York, in Germany and in Russia could sing a single song about the war in Yiddish. Not one," she said. "So these materials are something that belong to history but did not survive in memory." Written by Sheena Goodyear. Interview produced by Sarah Jackson.